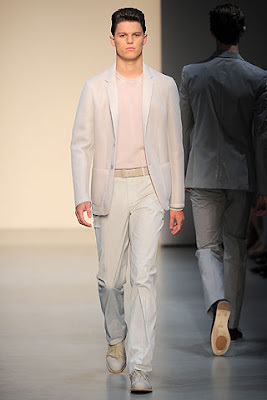 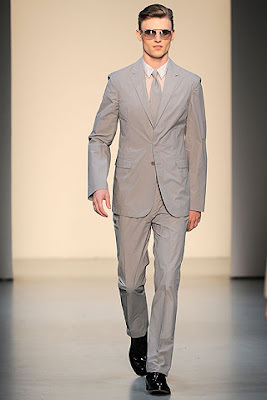 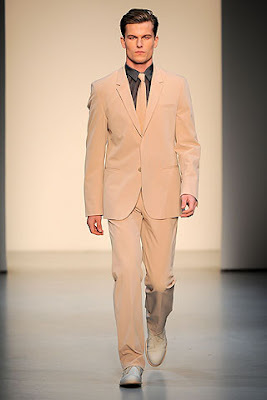 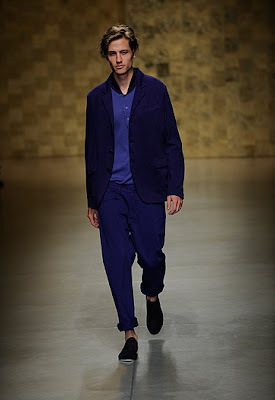 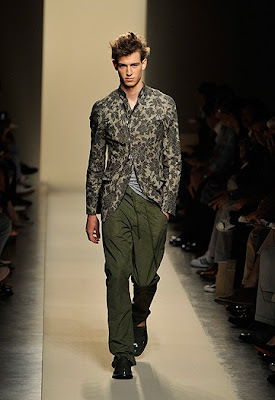 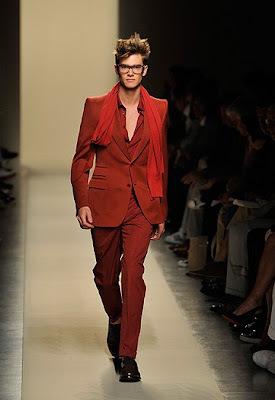 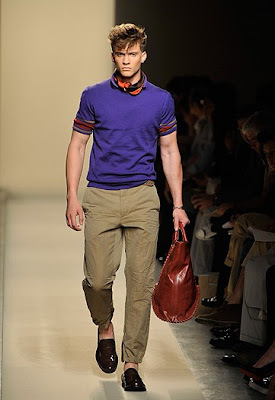 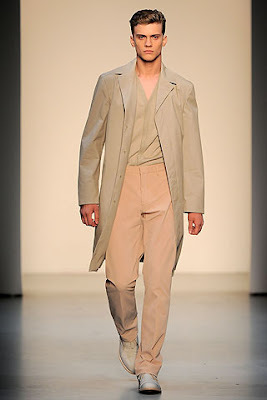 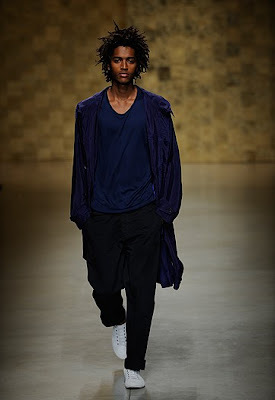 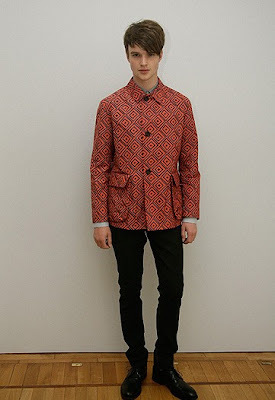 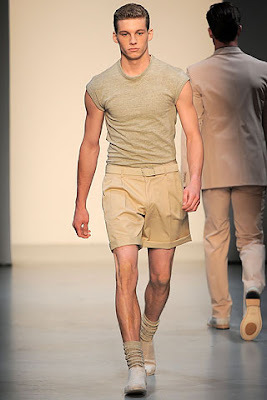 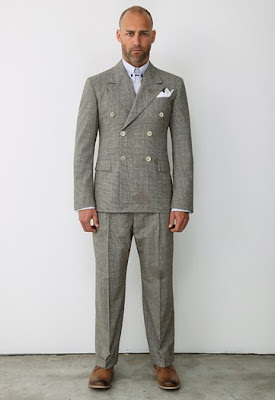 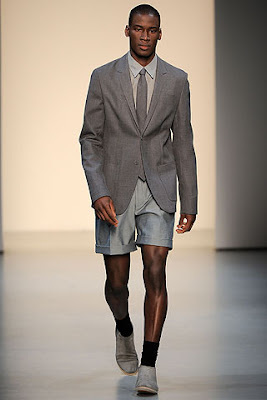 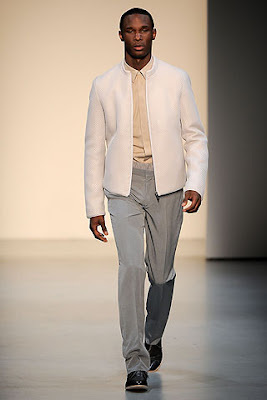 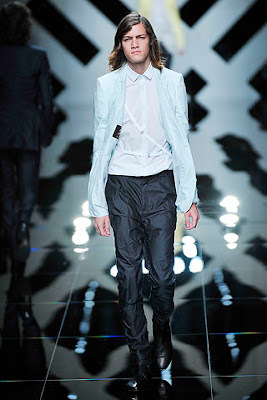 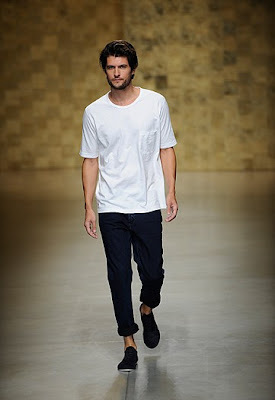 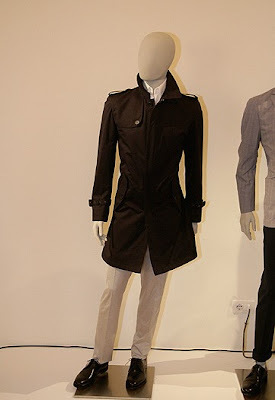 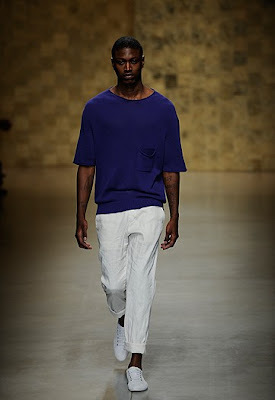 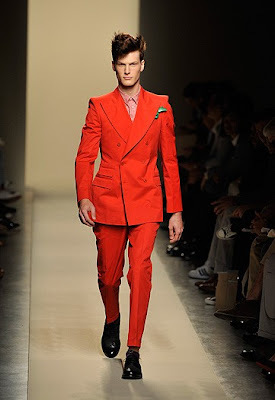 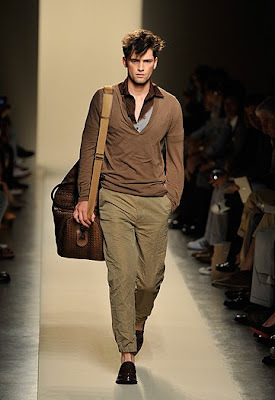 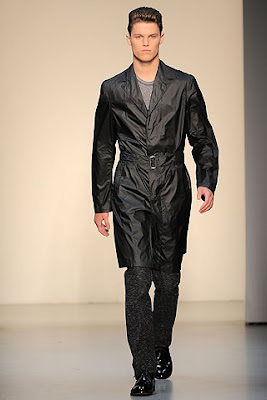 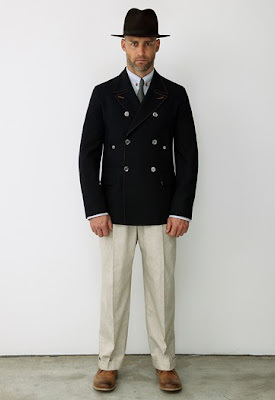 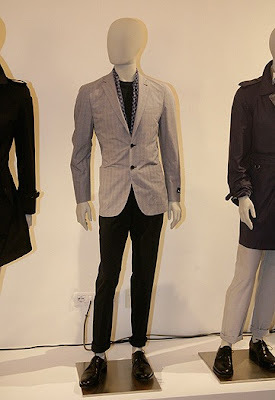 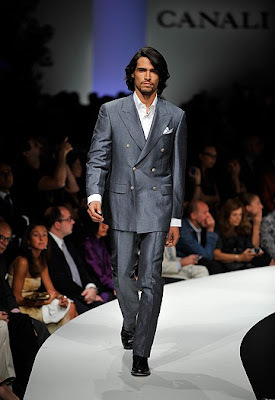 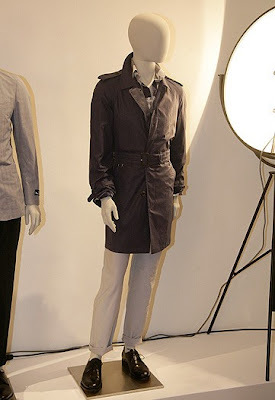 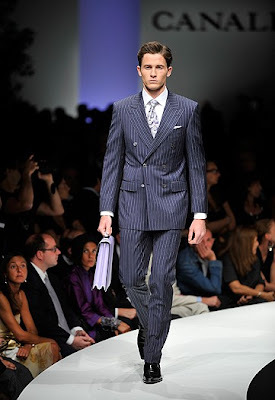 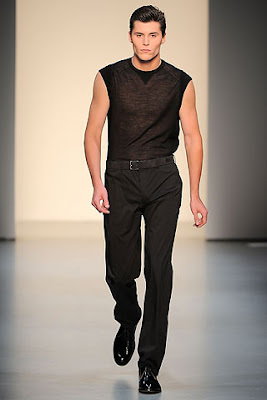 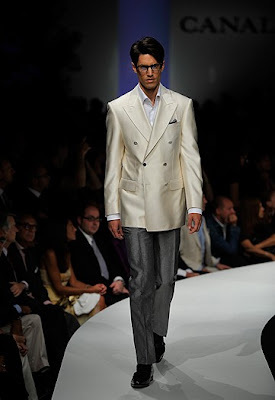 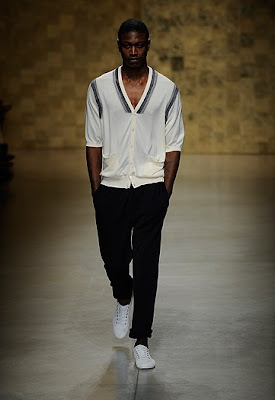 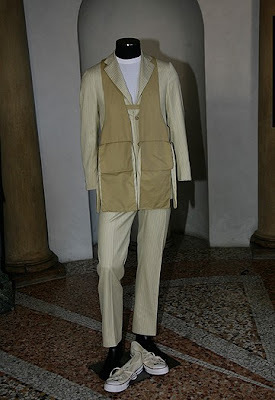 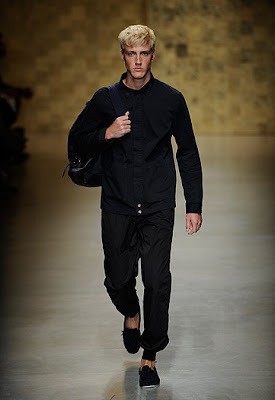 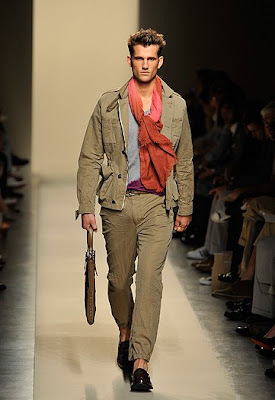 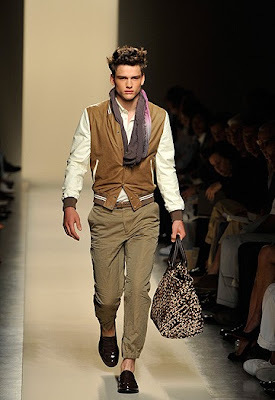 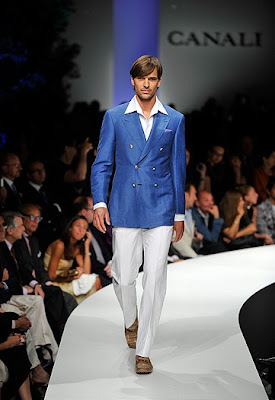 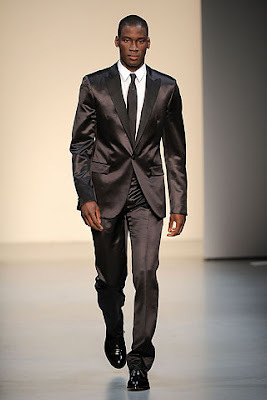 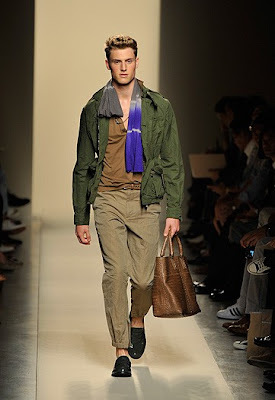 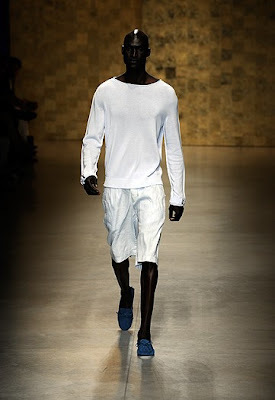 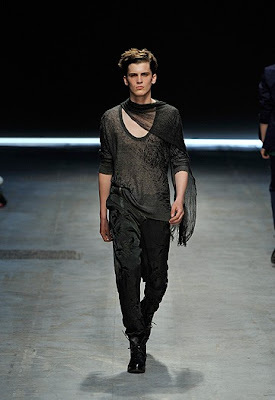 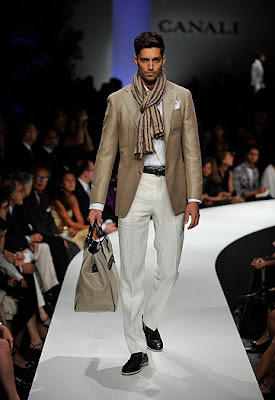 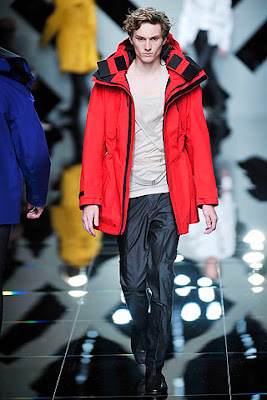 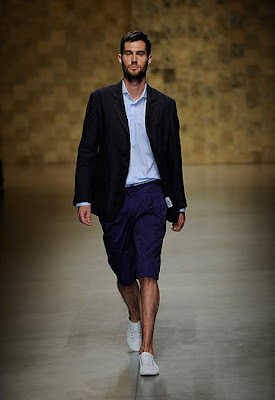 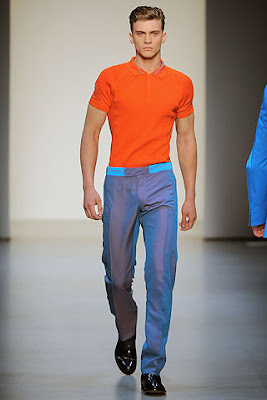 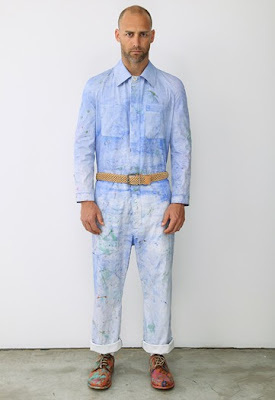 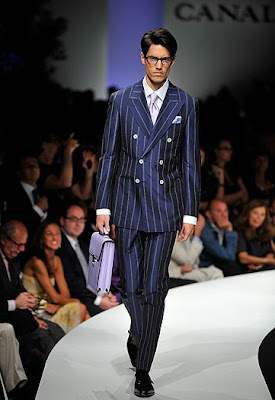 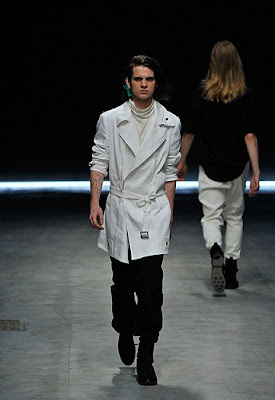 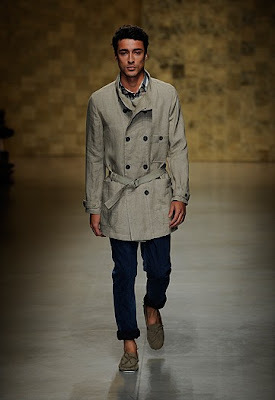 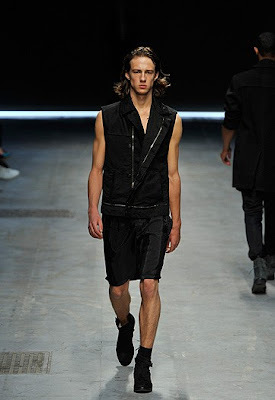 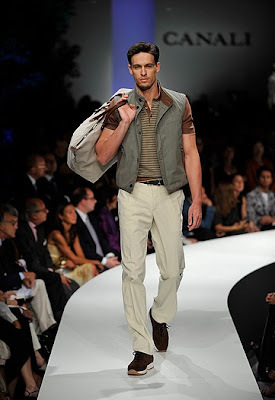 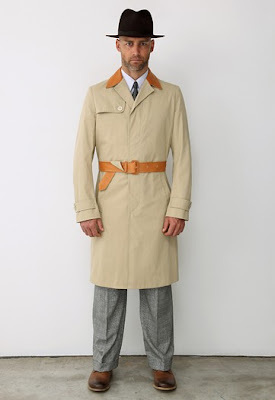 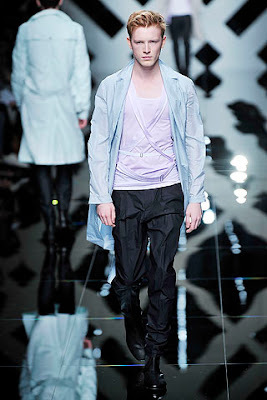 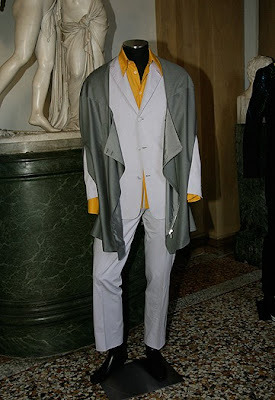 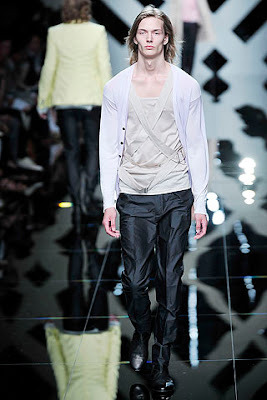 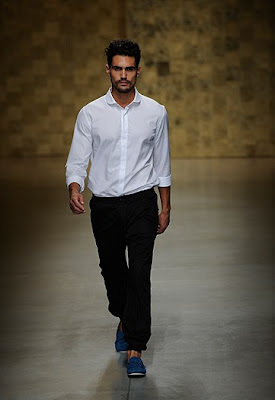 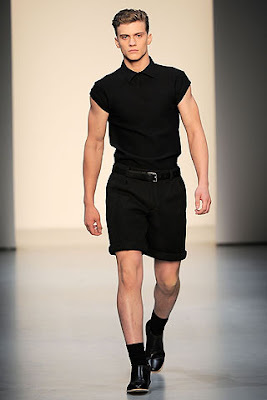 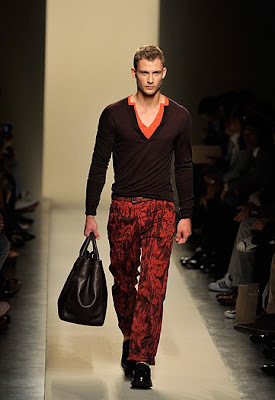 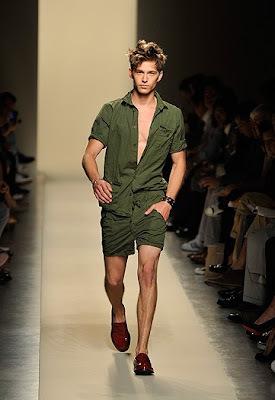 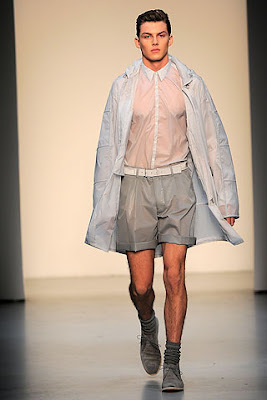 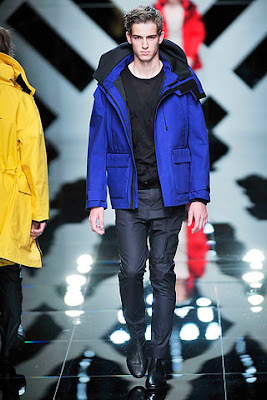 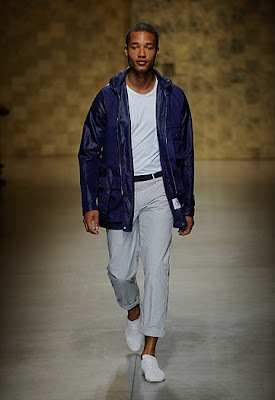 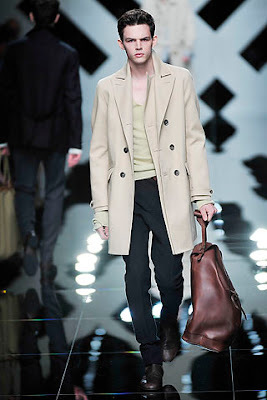 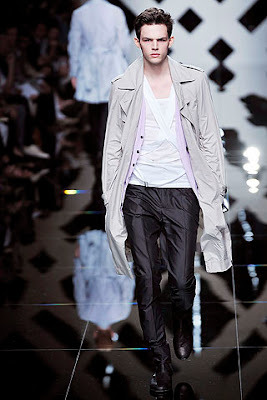 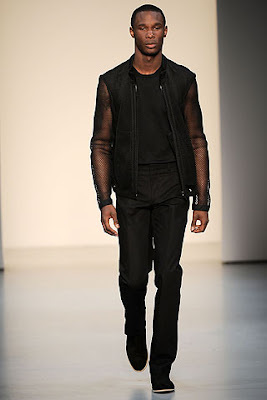 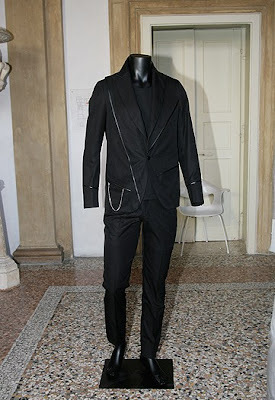 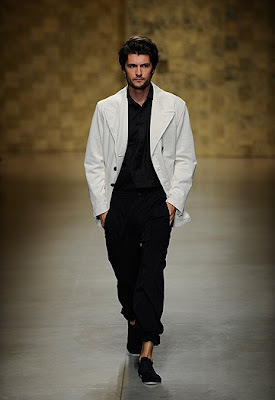 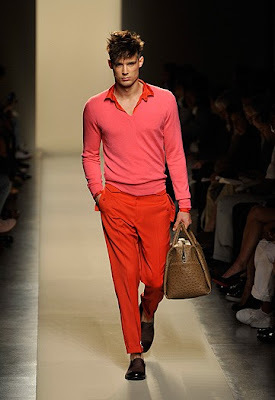 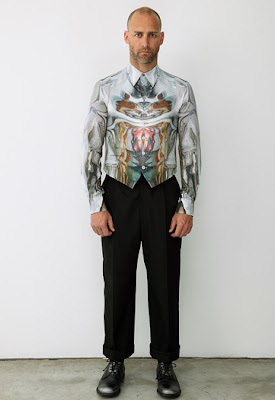 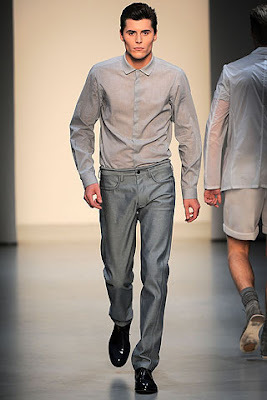 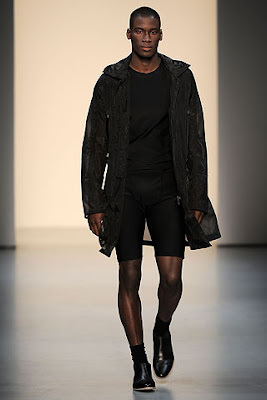 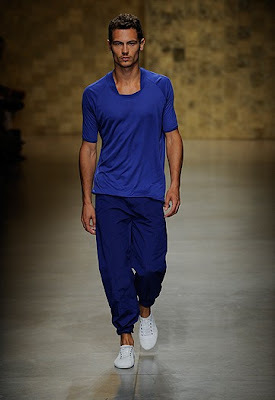 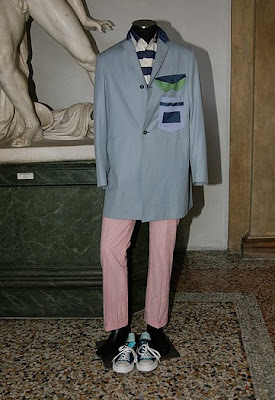 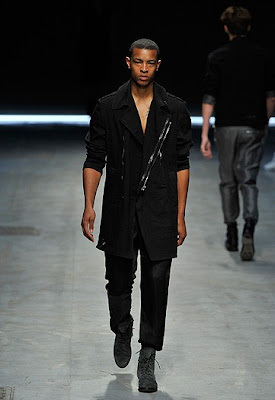 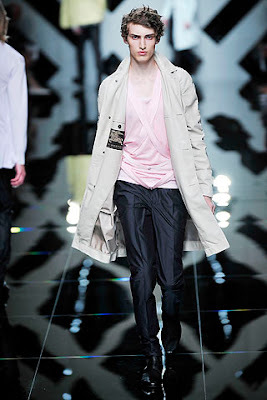 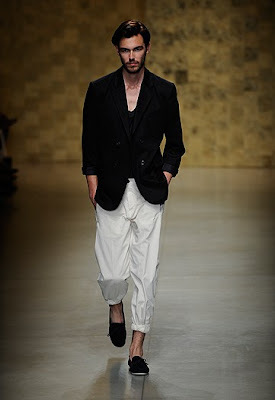 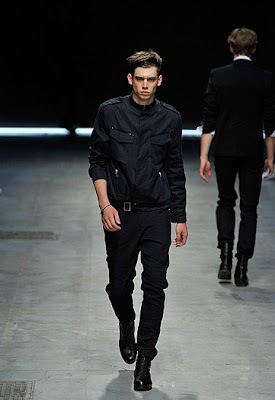 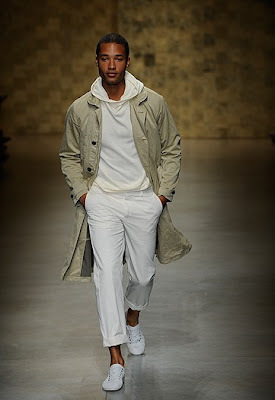 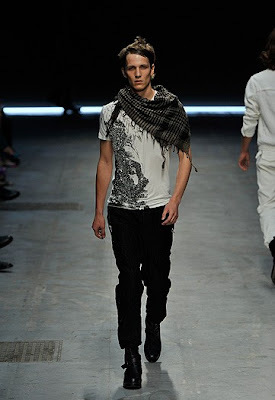 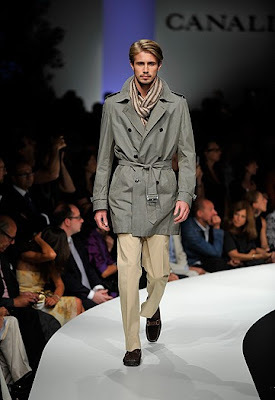 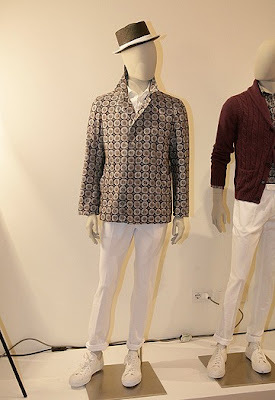 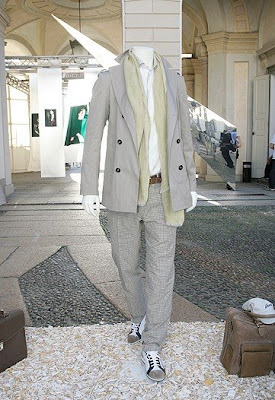 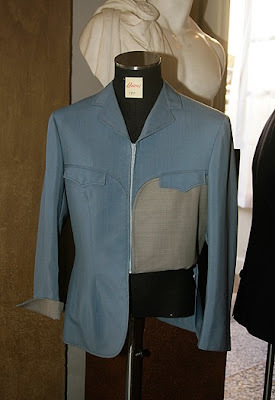 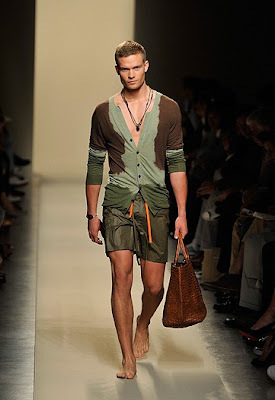 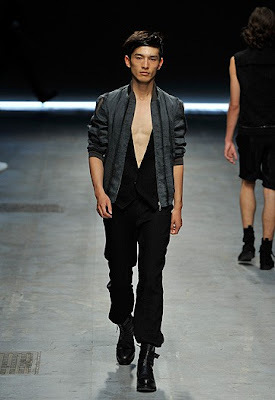 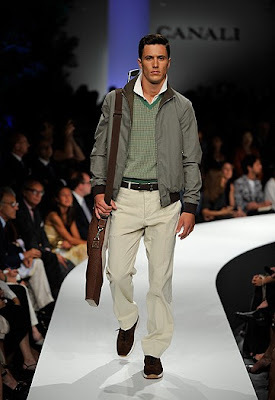 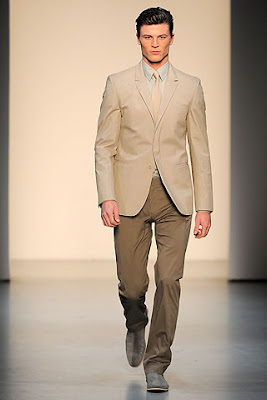 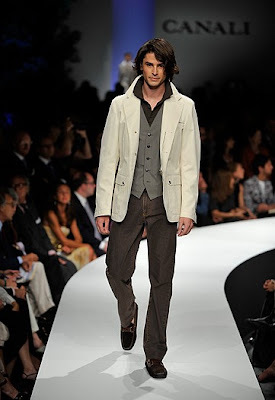 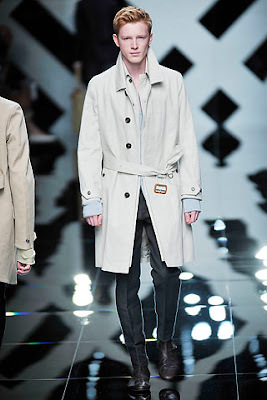 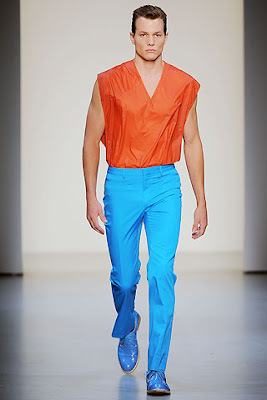 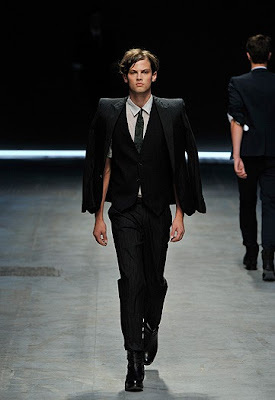 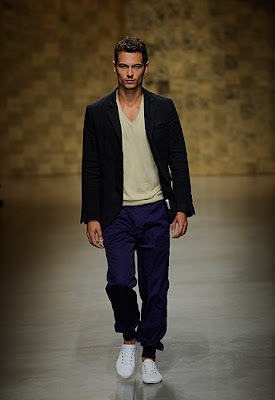 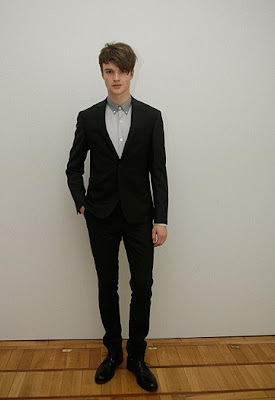 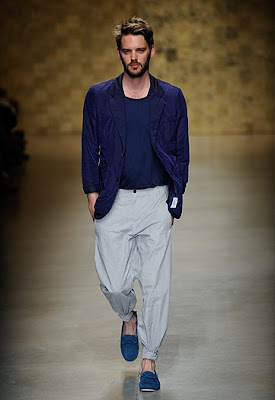 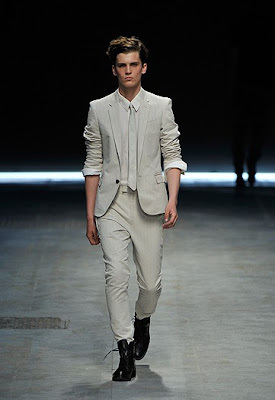 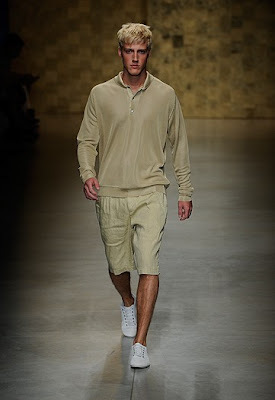 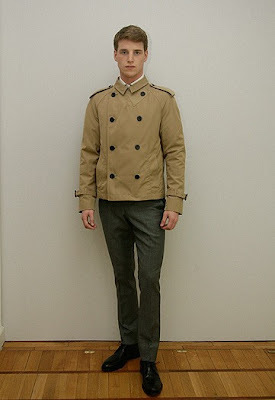 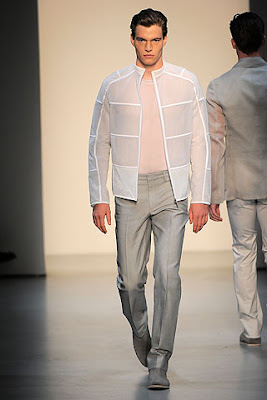 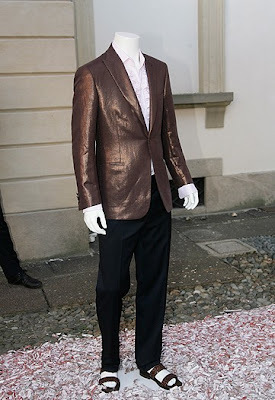 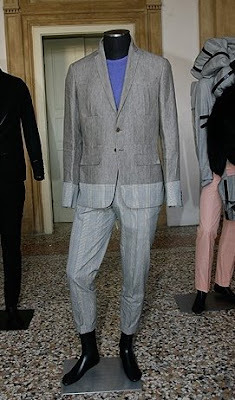 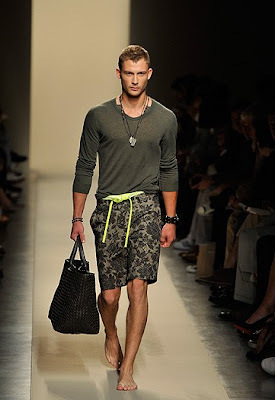 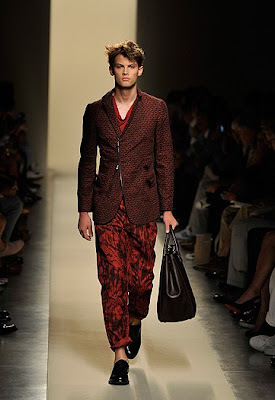 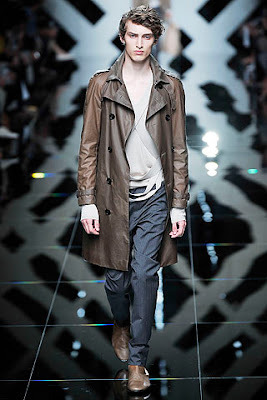 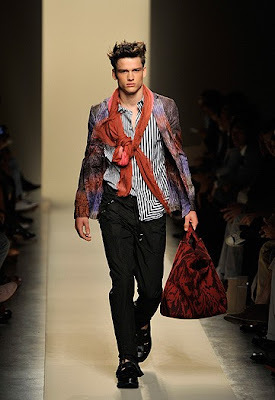 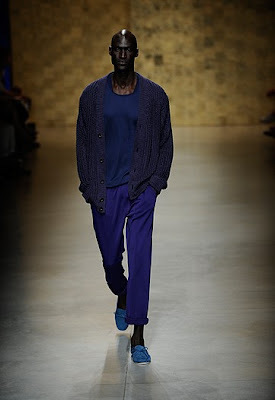 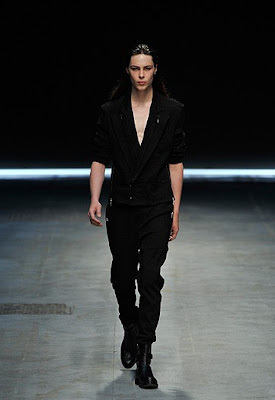 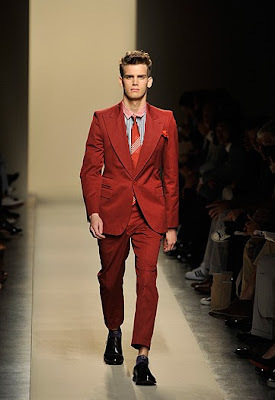 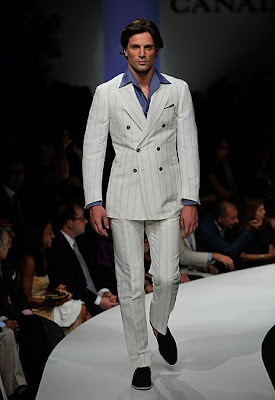 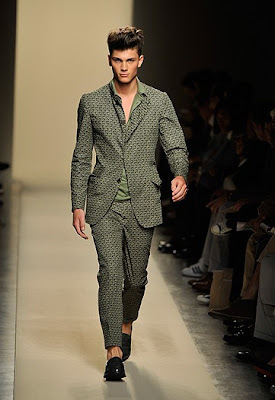 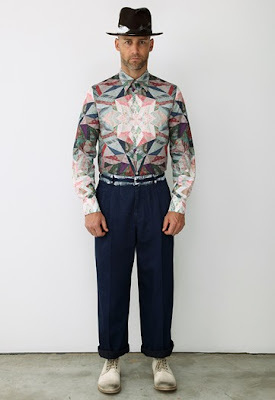 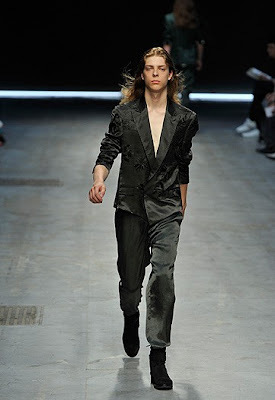 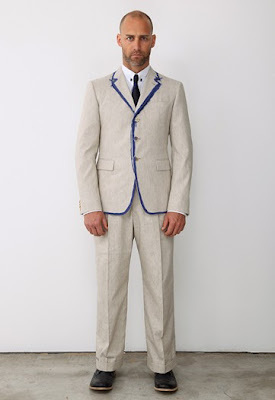 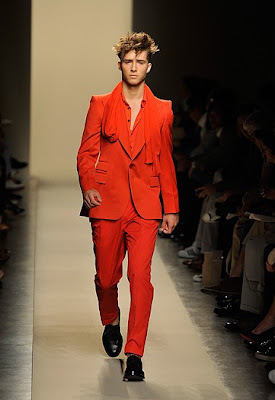 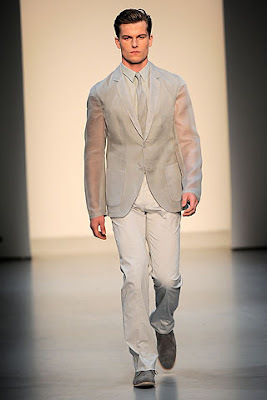 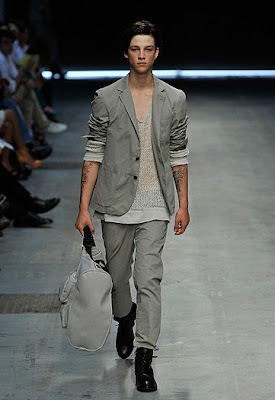 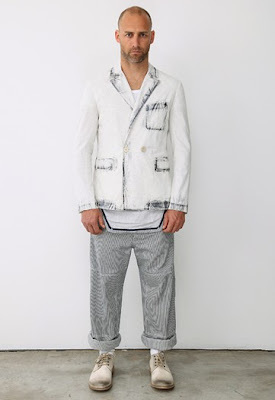 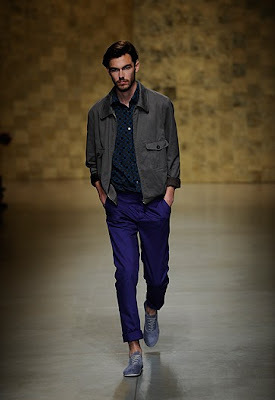 Here is the rundown of Milan’s Menswear Spring Summer 2010. 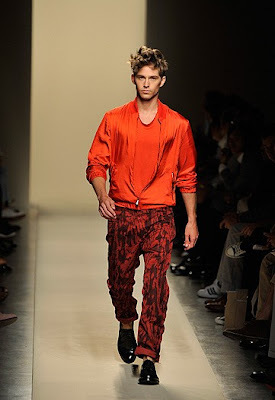 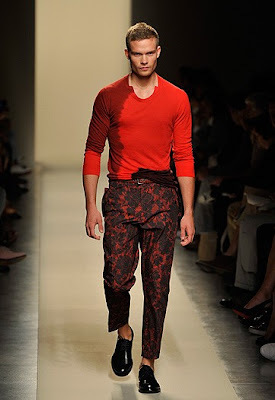 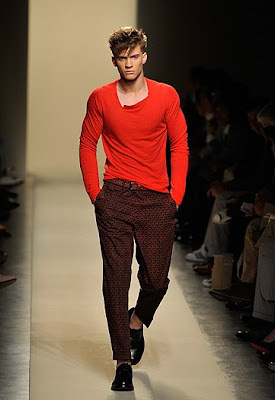 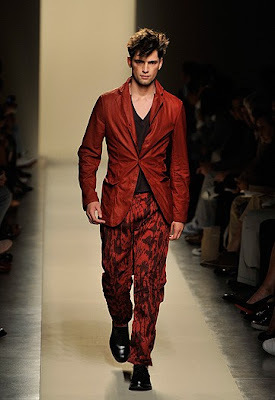 Milan offered a lot of clothes in red, sheer fabrics and prints for spring/summer 2010. 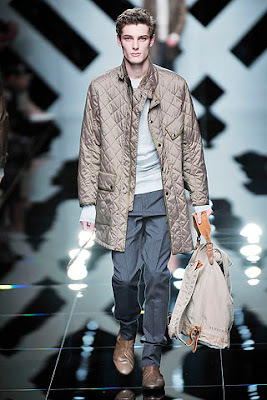 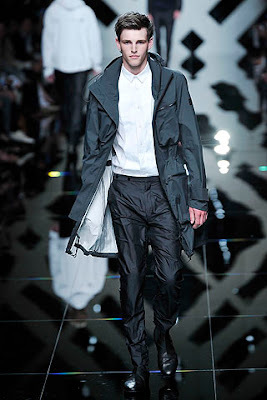 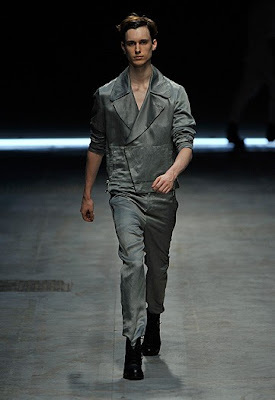 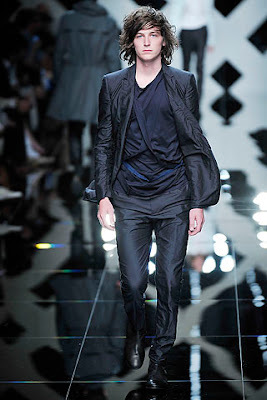 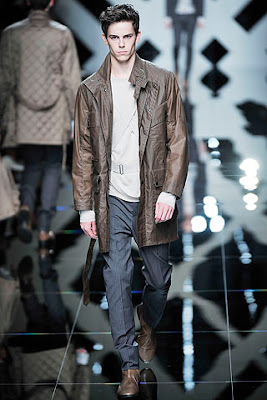 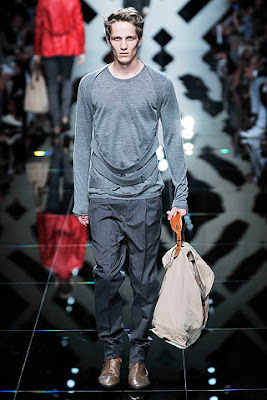 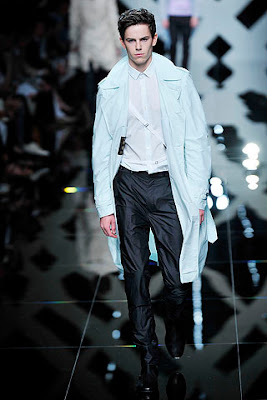 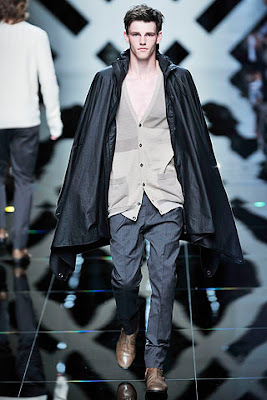 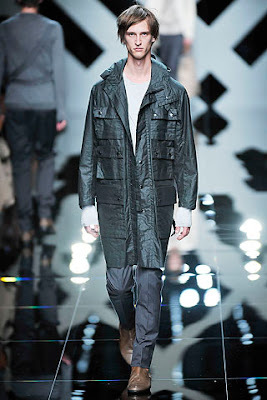 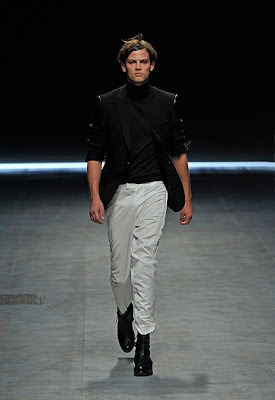 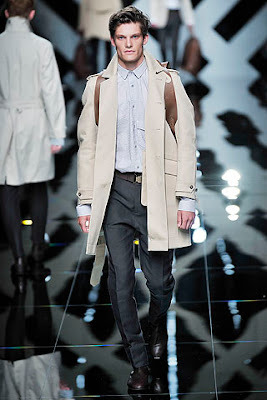 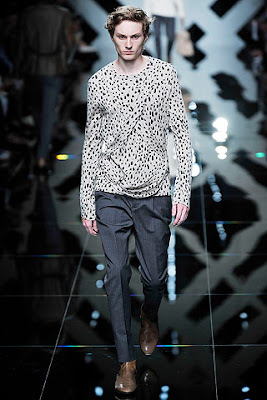 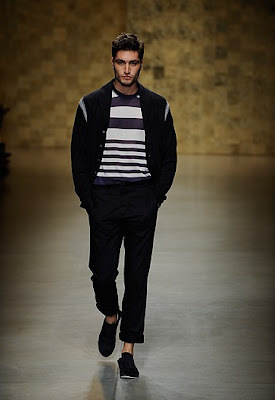 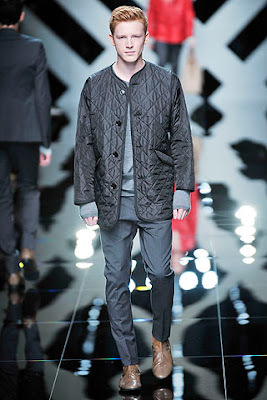 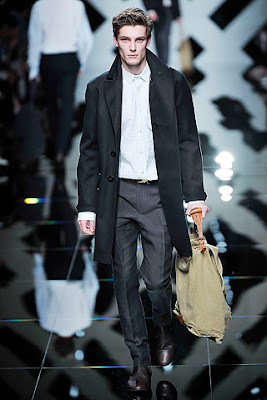 1) Emporio Armani- This show probably one of best Armani shows lately. 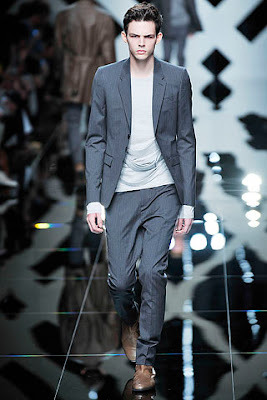 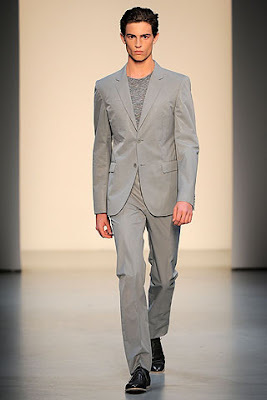 For this season Armani gave us great new twist on his classic – the three-piece gray suits trousers wrapped asymmetrically. 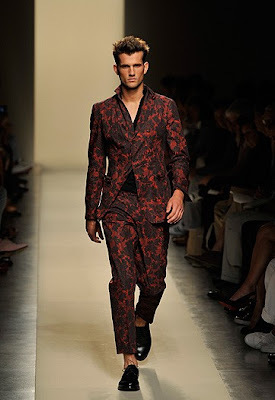 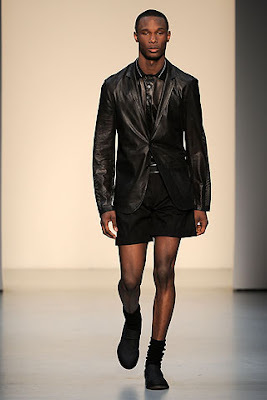 The samurai inspired evening jackets paired with brocade shorts were very interesting. 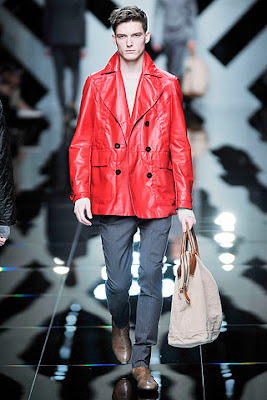 I would love to have any of those weave leather jackets in red or burgundy colours. 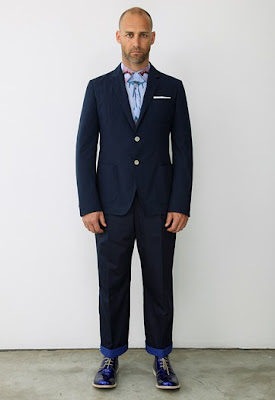 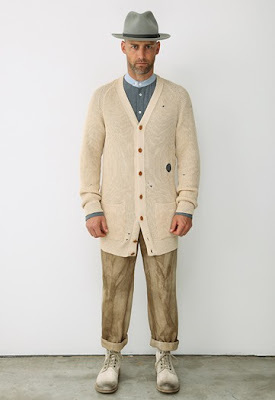 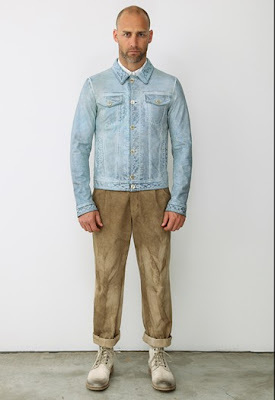 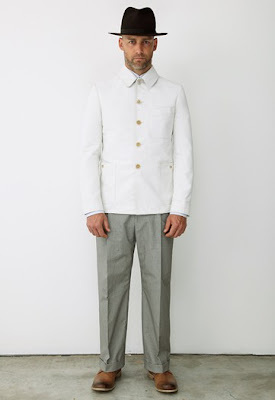 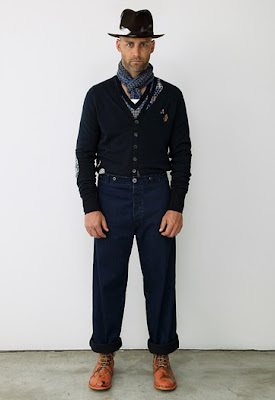 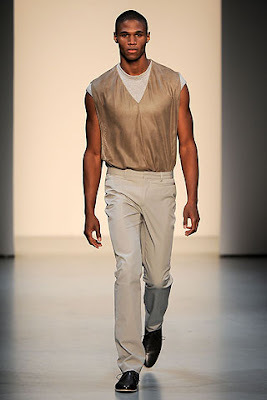 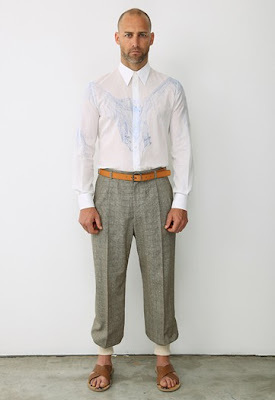 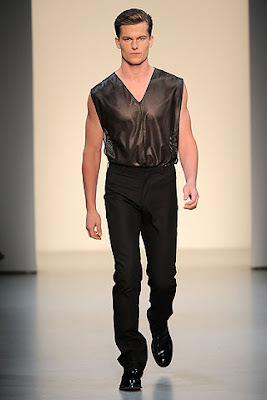 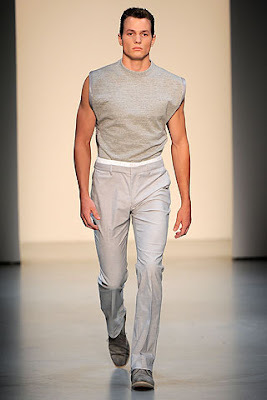 The very sleek urban with Eastern inspired collection should be the uniforms for all global men. 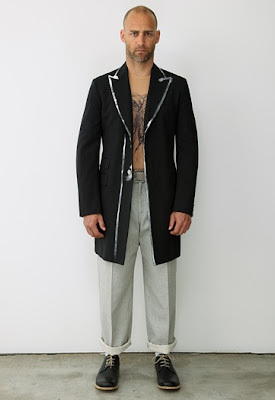 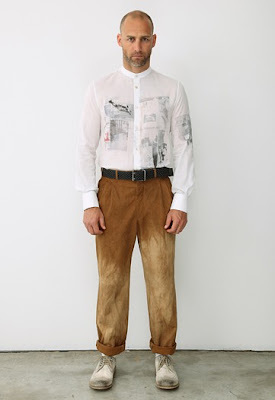 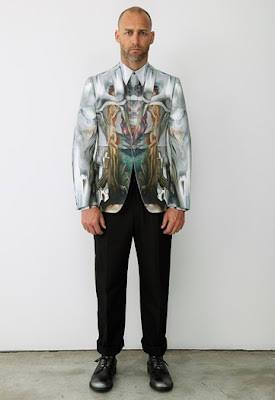 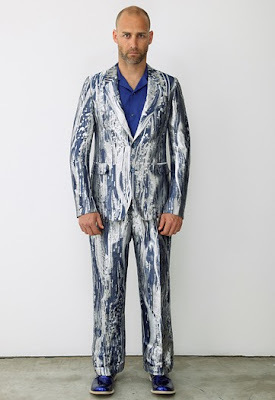 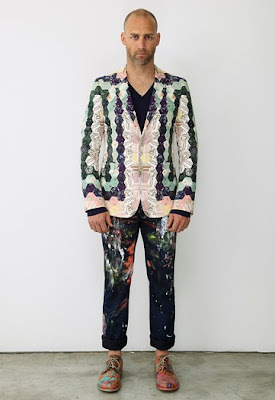 2) Alexander Mcqueen- I want those ball ink doodle prints on coats and jackets. 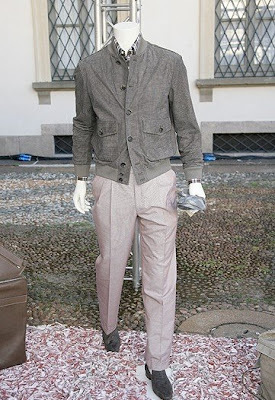 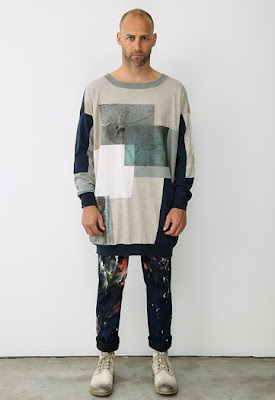 I also love the live in look of the clothes from the collection. 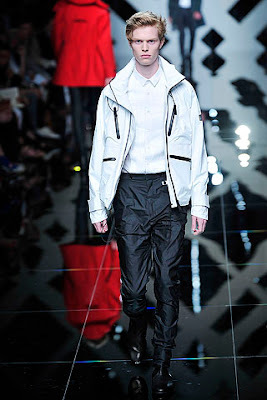 3) Calvin Klein Collection- I love the futuristic style of the clothes – the shiny translucent techno fabrics, the sheer top and coats and the very forgiving silhouettes. 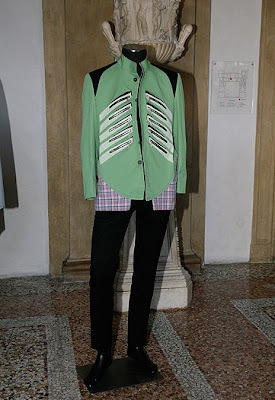 Here are the rest of the Milan show. 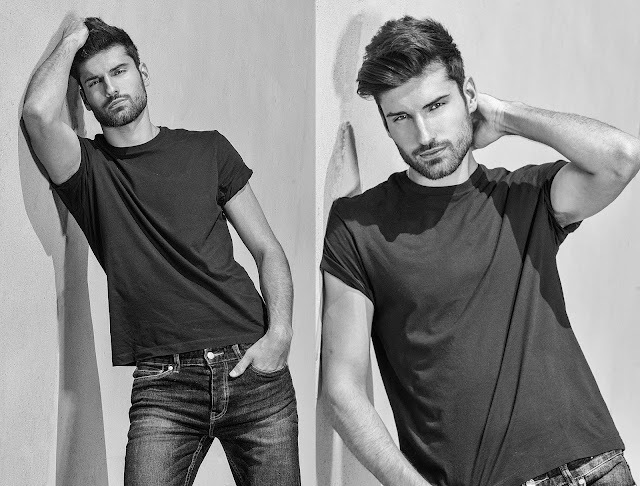 I would love to hear what you guys top 3 are.